A pantry jelly cupboard from the 1860's is solid maple and poplar, with hand dovetailed drawers and chamfered panels. The deep restored finish is in excellent condition, preserving lots of mars, wear and restorations for antique character. 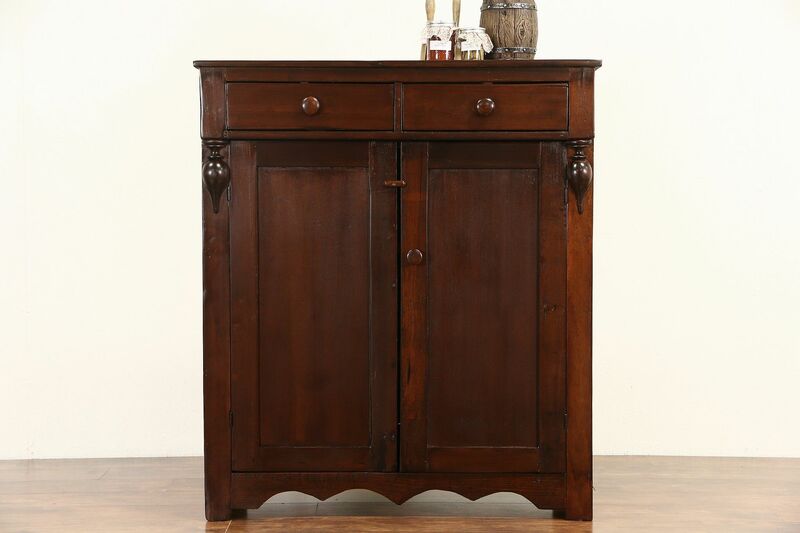 American made antique kitchen furniture, this sturdy cabinet held a year's supply of jams and jellies from the fall fruit harvest. Size is 43" wide, 18" deep and 49 1/2" tall.